Do you have the Essential Aromatherapy textbook? See your enrollment options above for "I already own the text". This course is an introduction to the therapeutic properties of popular essential oils. Learn the best methods of purchasing and storing essential oils, and the recommended precautions for infants, children, pregnant women and people who have sensitive skin. The textbook provides a handy A-to-Z reference for future use with clear tables, illustrations and oil profiles. Also available: 3 optional sample sets of organic essential oils @ $20 each. This course does not teach hands-on skills. Please seek additional experience, with a mentor, to add hands-on skills. I enjoyed this course and learned a lot from it. I have used Health Positive for the last three years and love it! Very Basic Knowledge - Good for spa MTs needing a brief yet accurate education without it being too technical and confusing. I really liked this course. It was very educational and will be using in my practice and home use. Enjoyed the course. Really liked the book, well organized, informative and the text was a pleasure to read. 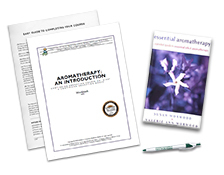 Course is well structured; textbook and materials are helpful resource guides for aromatherapy practice. This course was extremely informative and very useful in providing aromatherapy ideas for ones practice. Very interesting course. Not only valuable for my practice but also for everyday use. I enjoyed learning about the oils. Thank you for all your work putting it together. I found this course to be wonderful. I plan on taking the advanced course. I thouroughly enjoyed this course and it's materials and will recommend this course to my fellow therapists. This information on aromatherapy was very good and the book is a keeper. Great for referring back when needing additional information. I enjoyed the course. It was very easy to read and to the point. Thanks. The book material was easy to understand and the author made reading enjoyable. Great material. The course was very informative and easily understood. I am ready to take the next course in aromatherapy. I loved this course. Written concisely but with lots of details. Excellent course! The book is very easy to understand for someone with no previous experience on the topic. 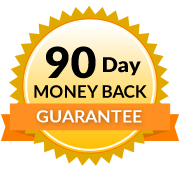 It is all clear and concise, and the information will be a valuable addition to my practice. I loved the book and all the reference listings for the oils. I did not really know anything about the use of essential oils; however, I would like to take more classes to expand my knowledge. It was a very positive experience. The information can and will be used in my massage practice. I enjoyed the course. It was very intersting and educational. Great course! It will be handy for my clients! I enjoyed this course. Thank you. I really enjoyed this course. The book and added information given to me were clear and to the point. I look forward to implementing aromatherapy into my work. The text book was amazing and easy to reference! I will continue to use this text for my practice and research to further my personal knowledge. What a valuable contribution for my continued education. I enjoyed the course immensely and will refer to the textbook often. The staff is knowledgeable, friendly and most helpful. This course was very interesting and I can not wait to use these oils in my practice and at home! This course was much more interesting and informative than I expected. The information was very useful for my practice and I will be using this knowledge daily. The information/book was in an easy to read format which I will be using as a reference book at my office. 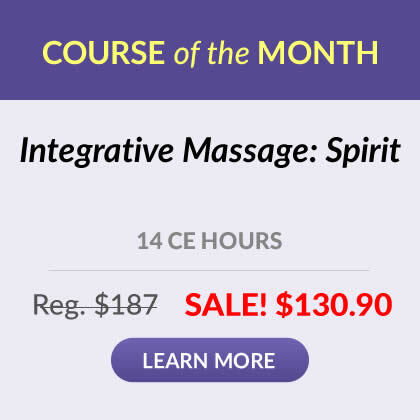 I would recommend this course to other massage therapists. At 65 years old, you can teach an old dog new tricks! I really enjoyed the information. Thanks! Nice to revisit, relearn and gain new insights. Extremely understandable, very interesting, and quite helpful ! I really enjoyed this course and would like to take the more extensive course in Aromatherapy. Great book. Very informative and easy to ready & understand. I feel like this class gave me a valuable base and the book will be a great guide to look back at for information. I love that the test can be printed and I used it as a tool to help me learn the information. Great class. Would love a part 2 for more advanced learning in the future. I found this course interesting and helpful! Will use with my clients! Course was easy to follow. Topics were clearly marked in bold in the text and workbook. This is my favorite course Iâ€™ve taken from you- very informative and useful in my practice. No "filler" in this book! Just information! I love this textbook. I've been reading up on essential oils lately, but this book has it all lines up for me. Plus it's just the right size to carry with me. Very nicely organized. Interesting subject/materials. I enjoyed the course. This course was a very good introduction and the materials introduces some interesting aspects of Aromatherapy and gave good counsel on how to identify good companies to purchase oils from. It made it easy to understand the value and significance of using essential oils in everyday life. It also let me know that I am interested in furthering my knowledge, understanding and practical use of essential oils. Recognize what essential oils are, how they get into the body and how they work on the mind and body. Define aromatherapy and recognize appropriate methods of blending and applying essential oils in massage and bodywork practice. Identify the essential oils recommended for common physical and emotional conditions and the therapeutic methods for working with them. Name the essential oils that should not be used under any circumstances and list the precautions for providing aromatherapy to infants, children and pregnant women. Which of the following oils are recommended for depression?